Based on these tests, the NHTSA started an investigation, formally called a Preliminary Evaluation. The NHTSA has now escalated the investigation into an Engineering Analysis. If the engineering analysis escalates shows poor results, a recall by the NHTSA could be possible. So far, according to the Consumer Reports story; no complaints of crashes, deaths, or injuries involving the 2018 Volkswagen Tiguan have been reported. Volkswagen is challenging the test results. A representative of the company said that the vehicle was “designed to meet or exceed safety standards and has performed well in internal testing as well as other third-party tests such as by the Insurance Institute for Highway Safety (IIHS).” Volkswagen is working with the NHTSA. Volkswagen believe the problem may not be with the Tiguan seat belts but rather with the NHTSA testing equipment. An IIHS representative confirms that its organization hasn’t found any fault with the Volkswagen SUV Tiguan’s seat belts. The representative claims that seat belt failures in modern vehicles are fairly rare. Still, the NHTSA is continuing with the investigation. 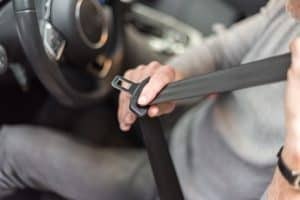 Its Office of Defects Investigation is trying to determine the root case for the seat belt failure – though finding a root cause is not a requirement for issuing a recall. Currently, the NHTSA has issued a “Safety Concern” on its website about the 2018 Tiguan seatbelts. The NHTSA is also concerned that the left driver door may open when there’s a side-impact car crash. Consumer Reports claims that side-impact tests on new vehicles are routine. The test simulates what happens in a 38.5 mph side-impact crash. The 2018 Tiguan was newly designed for the 2018 model. NHTSA’s red flag on the opening of the Tiguan’s side-door is unusual. Most side-impact tests on newer vehicles are successful. The danger is that the driver or a passenger could be thrown from the vehicle causing death or serious injuries. Car accident victims have the right to file a product liability claim if a car is defective and the defect causes harm. The combination of the seat belt failure and the side-door failure warranted an investigation according to Consumer Reports staff. At the Rocky McElhaney Law Firm, our Nashville Gladiators in Suits have years of experience fighting for car accident victims and their families. This experience includes filing product liability claims against car manufacturers who place profit before safety. If a car accident took the life of a loved one, or caused you any type of physical pain, please call us at 615-246-5549 or use our contact form to make an appointment with us in Nashville, Hendersonville, or Knoxville.